We haven't seen the OTA land on any of our devices just yet, but you can easily sideload the update if you're impatient. Security patches this month look to be a bit more sizable, with more critical and high vulnerabilities being fixed than the last month. There are also a lot of Qualcomm and MediaTek-specific patches present on the Pixel bulletin side (some Android One devices have MediaTek SoCs), probably at least partly related to the ongoing Spectre and Meltdown variants being discovered. Functional patches for Google's own hardware this month are a bit more interesting. All devices should see an improvement in Bluetooth performance. Pixels will get improved Wi-Fi connectivity with certain APs and changes to the IMEI SV format display. 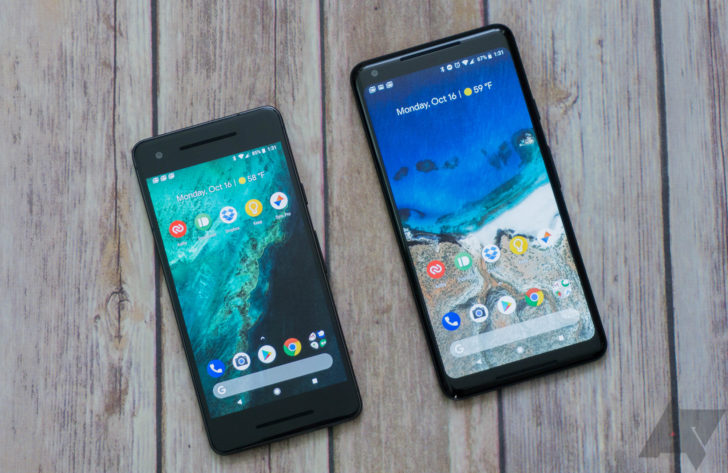 The Pixel 2 and 2 XL also see improvements in switching between antennas in areas with weak coverage, while the Pixel 2 XL alone gets that fix for the proximity sensor and better Always On Display consistency—odds are those two are related.